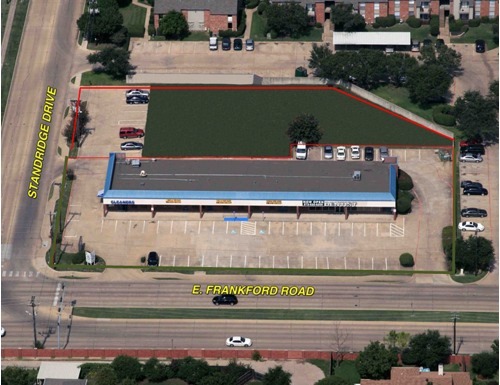 Frankford Standridge is located at the NEC of E. Frankford Road and Standridge Drive in Carrollton, Texas. The center is nestled within neighborhoods with access to President George Bush Turnpike (SH 190) and Stemmons Freeway (I-35E). Tenants include a dentist office, a dry cleaner and other neighborhood services.